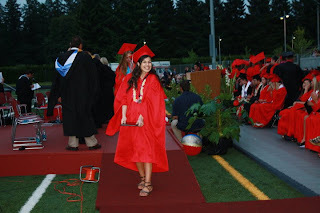 Look who graduated Friday night! Congratulations Naseemjoon! We love you!!! It was an exciting night with plenty of drama & technical difficulties. The sound system had it's fair share of problems until halfway through the ceremony, it was finally fixed. Also, several kids names - including Naseem's - were left off the program. I thought I was going to have a stroke! Thankfully we got to the stadium two hours before the ceremony began. I marched my way over to the principal & vice principal and showed them the program. They had no idea. I asked them how they were going to fix it. Their solution: a lovely shout out (by name) to the three seniors who were left off the program. We also will receive new programs with everyone's names in it sometime this week. A good ending for a stressed student & her family! What's next for Naseem? She is Pullman bound! 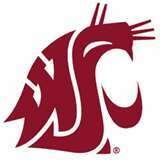 Go Cougs!! !